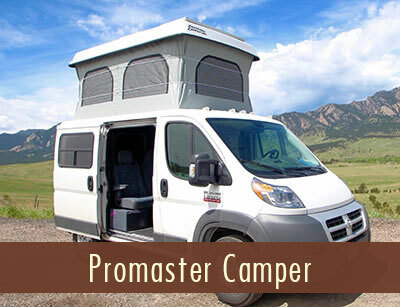 Drive into your next vacation in a Classic Volkswagen Van or Luxury Dodge Promaster. 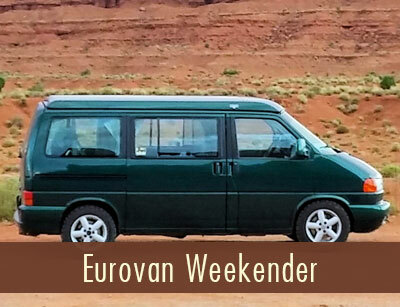 We rent near-vintage and vintage VW Eurovans, Vanagons, and buses as well as modern, luxury campervan conversions. 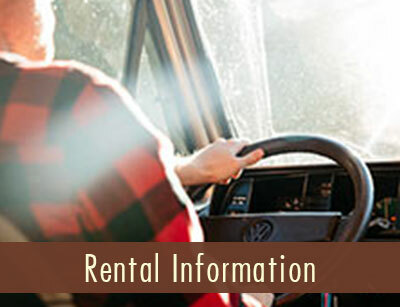 Rental Pick-up and drop-off available in other cities – inquire for details. Our vans are fully equipped for living on the road. 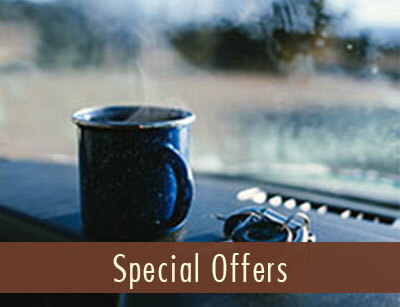 Contact us today for Special Offers on one-way & round-trip campervan rentals. Campervans are easy to drive and easy to park. Our logos are not on our Vans – this is your trip. Our fully-equipped campervans are ready for summer or winter road trips. 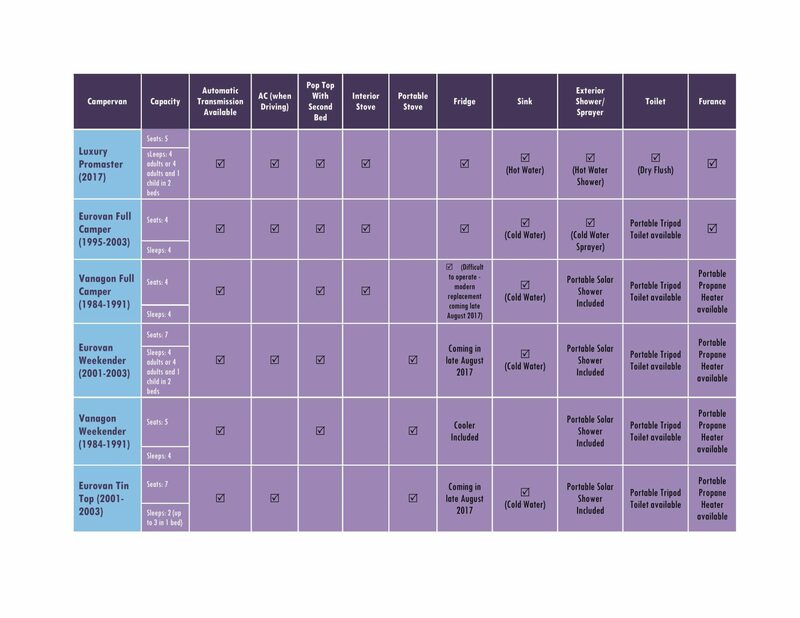 Which campervan is best for you? 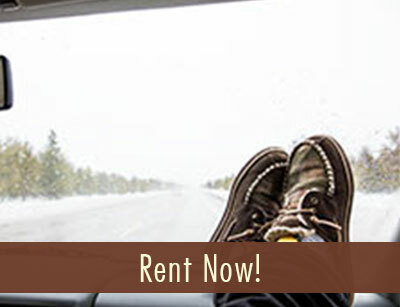 Campervans offer the freedom and flexibility of a hotel and rental car in one package. 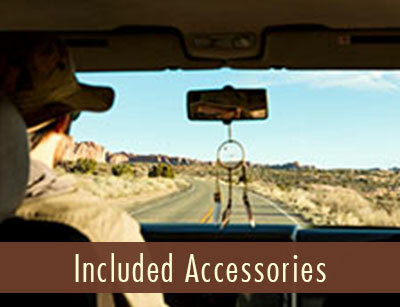 They are more convenient and comfortable than tent camping and much less intimidating than a standard recreational vehicle (RV). Our camper vans are no larger than your average minivan on the outside. 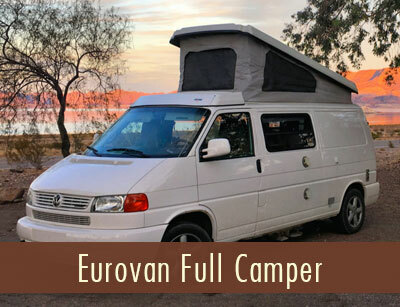 The manageable size of our Volkswagens and custom vans allow for camping in many places that would be too large for even the smallest motor home. You’ll enjoy being able to cruise along with traffic and park in normal parking spots all while getting up to 22 mpg. 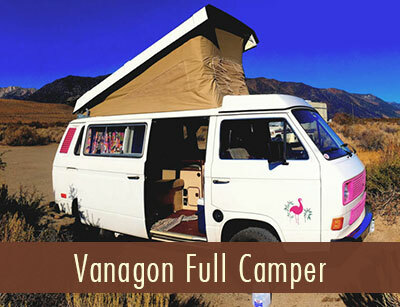 Best of all: you can pull off the road and set up camp almost anywhere in your VW Eurovan, Vanagon or luxury campervan. Home is where you park it. 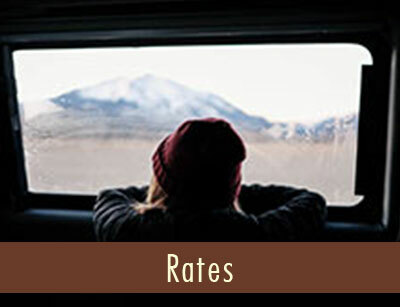 Our camper vans allow you to travel simply while bringing the best of RV camping along with you. 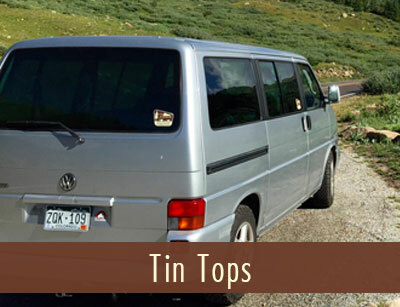 Our vans sleep anywhere from one to five people on both lower and upper beds in the poptop roof and each van comes fully-equipped with all the necessities like linens, cookware, bedding, campchairs and more – all included in the price. All you’ll need is your sense of adventure (and a change of clothes or two). We also are happy to work with each renter to ensure they’re planning the best trip possible and getting in the best van for their adventure. 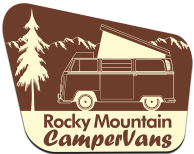 Rocky Mountain Campervans has relationships with several local hiking, backcountry skiing, fly fishing and rafting guides around the state that can get you to the best snow, the best fish, the best trails and the best rivers to make your trip in a Rocky Mountain Campervan rental one you’ll remember for the rest of your life. 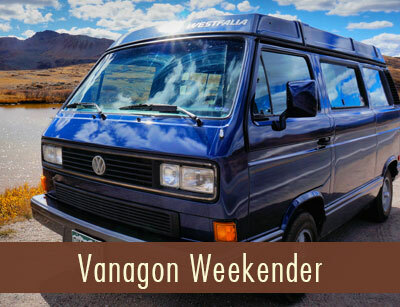 Whether it’s taking a step back in time with one of our vintage VW Westfalia Vanagon rentals or cruising in a more modern VW Eurovan or custom campervan you’ll be greeted with smiles everywhere you go.